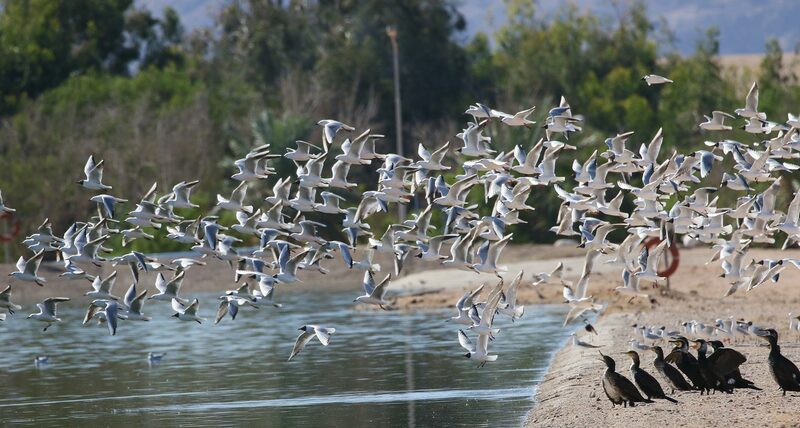 JBW organizes regular bird watching trips and events to take pleasure in nature and observing wild birds and to raise the awareness and capacity of Jordanian bird guides. Special trips are occasionally organized for school children, visitors from abroad and photographers. Anyone can participate regardless of bird watching experience, and trips can be designed according to interests, and other factors. Regular field trips include the Jordan Valley, the eastern desert, Azraq, Madaba plains and rift margins, the northern Highlands, Dead Sea area, Aqaba and Wadi Araba, Dana and Al-Sharrah Mountains belong to sites visited regularly. 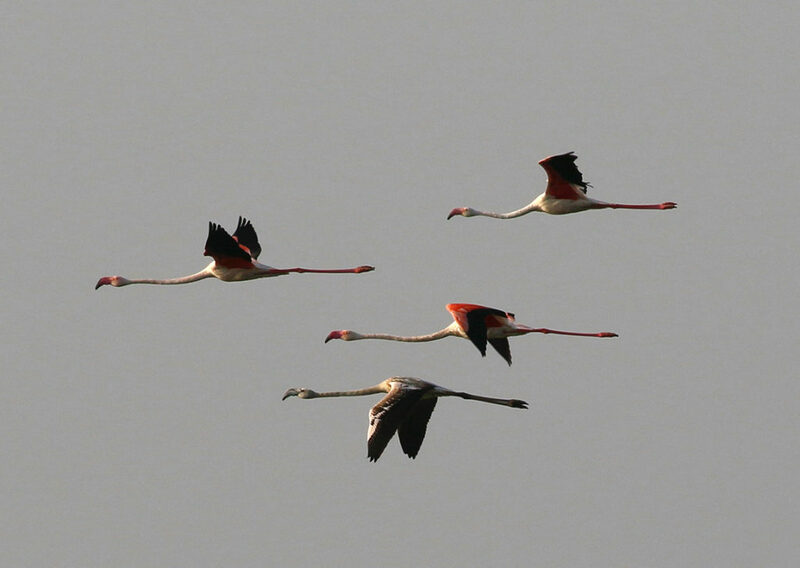 Special field tips, events and activities include the White Stork autumn migration event near Amman and spring migration event. Regular half-day or whole day trips, usually announced on the website and social media, are organized at least twice a month. Two or three days trips with overnight in lodges or camping are also organized twice per year. For more information see (“Membership”) and contact us at avijordan2000@yahoo.com and info@jordanbirdwatch.com. Main themes include bird watching and identification, bird photography, bird guiding, bird surveys, bird ringing, bird ecology, behaviour and conservation. Special events can be organised for schools including field trips and activities within school campuses to assist learners of any age in developing awareness, knowledge, skills, and commitment resulting in informed decisions, responsible behavior, and constructive actions concerning birds, other wildlife and the environment as a whole. JBW also launches awareness campaigns, as part of its program to raise general awareness, by using photographic story-telling and dissemination of information in various types of media. Our campaigns deal with various threats e.g. 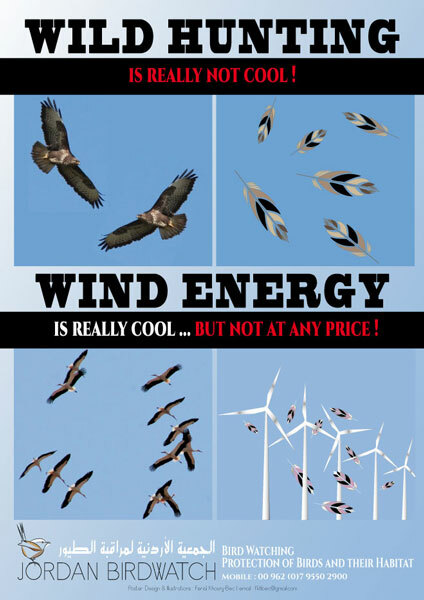 “Wild hunting”, “Windfarms are cool, but not at any price”, “Save Forests” and “stop persecution of bee-eaters”. JBW website is a comprehensive source of information about bird research, conservation issues and birdwatching in Jordan, in addition to being the official site of the first specialized ornithological and birding NGO in the Arab World. Jordan Birdwatching Club is a facebook page about various aspects of birding in Jordan, founded by JBW to help promote bird watching. 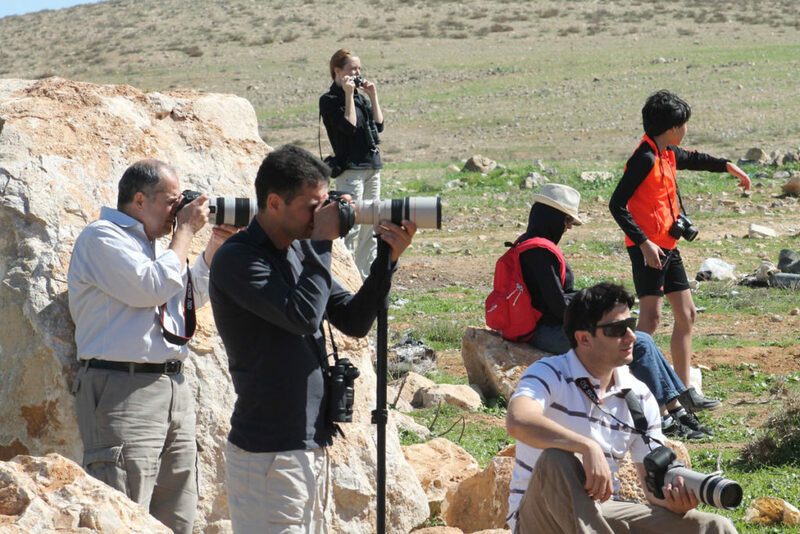 With over 700 members from all over the world it includes ornithologists, bird watchers, tour guides and others who share their interest in nature and birds of Jordan. 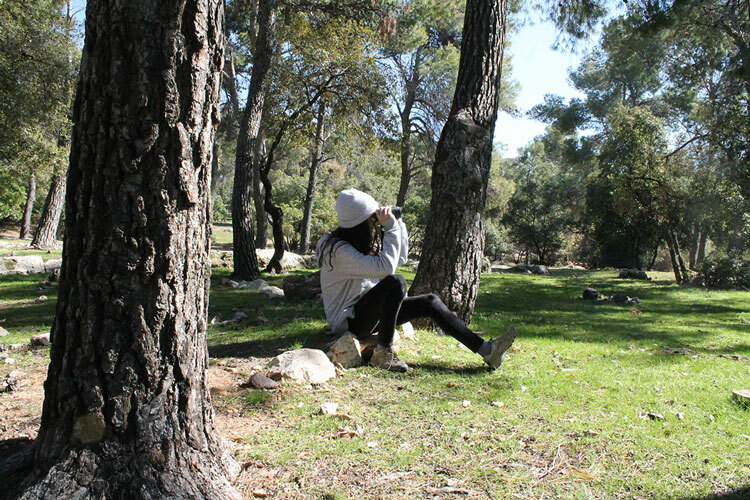 It includes the entire bird watching community of Jordan, and is a suitable forum to present records and photographs; discuss status and conservation of birds, and informing about bird watching trips and events in Jordan. Bird watching is one of the fastest growing tourism sectors worldwide. 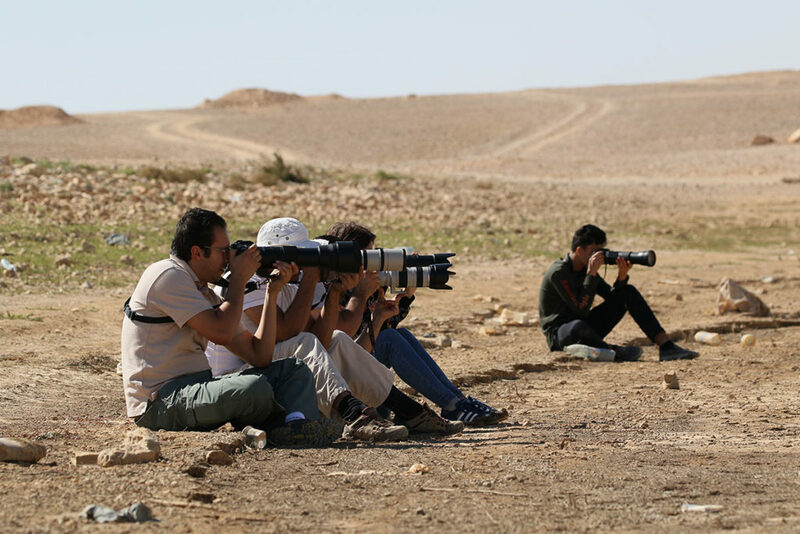 Up to 2018, only a small number of birdwatchers visited Jordan every year, but there is potential to multiply these numbers if the foundations for bird watching are strengthened by raising capacity of tour guides and making local tour operators aware of the needs of birdwatchers. JBW provides advice and information to birdwatching groups and tour operators upon request and helps them design bird watching trips to maximize the number of species that can be observed during any tour according to the total duration, the available logistics, and special wishes and needs of visiting birdwatchers. JBW also provides advice to site managers regarding habitat management and designing bird hides, trails etc. JBW is represented in the National Committee for Wildlife Protection which is assigned by the Minister of Agriculture, to review annual hunting regulations and guidelines, and provide advice regarding the release of birds by hunting associations. d) law implementation in the field is not sufficient and a plan for the effective regulation of hunting has not yet been established. Members of JBW are also affiliated to various working groups handling conservation issues, e.g. working group on Invasive, alien species in Jordan. JBW is the official advisor of the Airport International Group / Queen Alia International Airport to assist in minimizing the risks of bird strikes at the airport. JBW provides advice and information to various entities carrying out bird monitoring, and various types of assessments involving birds and other wildlife. JBW uses all data collected during bird watching trips, field research and monitoring/surveys of birds to better understand the status and condition of bird populations and their habitats in Jordan. Rare birds and various sites are monitored regularly. Records of birds are entered into the JBW data base for further analysis and future reference. 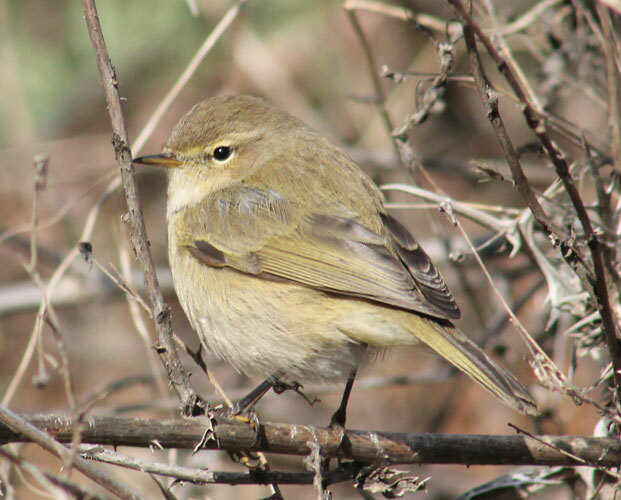 The outcome is an updated list of birds (link to birds in Jordan=bird list), and various publications about the status if birds (link to news and bird in Jordan=Literature). Researchers interested in JBW’s scientific work can contact avijordan2000@yahoo.com for further information. Combining education, awareness, and bird monitoring is also made possible by “Citizen Science”, a way to engage non-scientists in data collection for scientific reasons. JBW developed a special application for android and iPhone (JOBird) for recording birds while in the field. Birds recorded by researchers and birdwatchers are automatically added to JBW database after being verified (link?). As means of getting people involved and obtaining a wider support, JBW invites individuals, companies and other institutions to sponsor activities related to bird conservation and specific bird species. Species can be selected by the sponsor or suggested by JBW. Priority will be given to birds that are rare, threatened, unknown in terms of distribution and biology, or have a restricted range in Jordan. 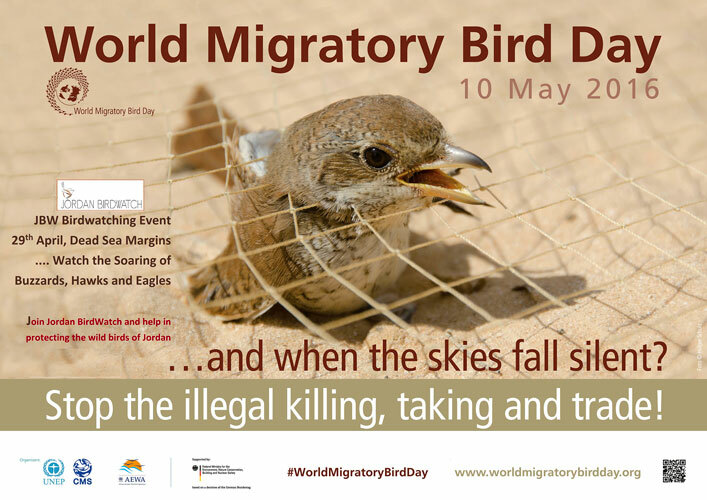 Activities may include the organization of bird watching trips focusing on the species, publications, surveys and status assessments, long-term monitoring and other actions that increase knowledge, awareness and the protection of the selected species. The sponsorship will be considered a donation to JBW and the sponsor can be involved in activities and in deciding how the fund will be spent. For more information, please contact us at avijordan2000@yahoo.com and info@jordanbirdwatch.com.